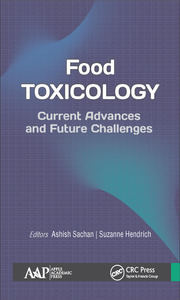 This new volume, Food Safety: Rapid Detection and Effective Prevention of Foodborne Hazards, focuses on the general concepts, mechanisms, and new applications of analytical and molecular biology techniques for detecting, removing, and preventing chemical and biological hazards from food. 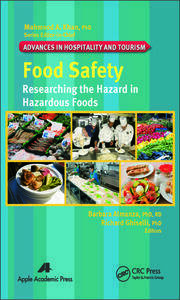 Edited by a microbiologist and medical officer with over 20 years of laboratory and research experience in bacteriology, molecular biology, infectious disease, and food safety, and who has trained with the U.S. Food and Drug Administration (FDA), the volume provides an abundance of valuable information on food safety and foodborne hazards in our food and drink. Today, food safety is a growing concern not only of food-related professionals and policymakers, but also of the public. Foodborne hazards, including chemical and biological hazards, can cause food intoxication, infectious diseases, cancers, and other health risks. Foodborne diseases are a major public health and economic burden in both the developed and developing countries. In the United States alone, the incidence of foodborne illness is approximately 9.4 million cases with about 56,000 hospitalizations and 1,351 deaths every year. 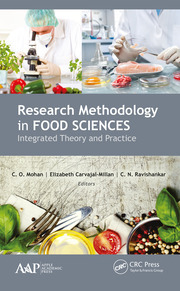 This book will be valuable to professionals and other specialists who work in food preparation, food safety, clinical laboratories, and food manufacturing industry. It will be a resource for food handling trainers as well as to anyone interested in foodborne hazards and their affective detection, reduction, and prevention strategies. This book can also serve as a important reference for more specialized courses in food safety-related courses and training programs. Lan Hu, MD, PhD, is a microbiologist and medical officer with over 20 years of laboratory and research experience in bacteriology, molecular biology, infectious disease, and food safety. She has extensive knowledge in multiple fields, including medicine, microbiology, biology, immunology, and epidemiology. Trained formally on how the U.S. Food and Drug Administration (FDA) reviews biology, drugs, food, and devices, she has in-depth knowledge of the regulations, laws, and procedures related products and public health. Dr. Hu has worked at several research institutes, such as the National Institutes of Health (NIH), the Naval Medical Research Center (NMRC), and the FDA as a medical officer and a research microbiologist. With over 20 years of laboratory and research experience in molecular biology, infectious diseases, bioinformatics, food safety, risk study, and vaccine study, she has initiated, directed, and completed numerous research projects and programs, particularly associated with developing pathogen detection methods and for investigating bacterial pathogen-host cell interaction and pathogenic mechanisms. She has received several awards for her work, including Fellows Award for Research Excellence (1999 and 2000) from the NIH and the Young Investigator Award from the 10th International Workshop on Campylobacter, Helicobacter, and Related Organisms. 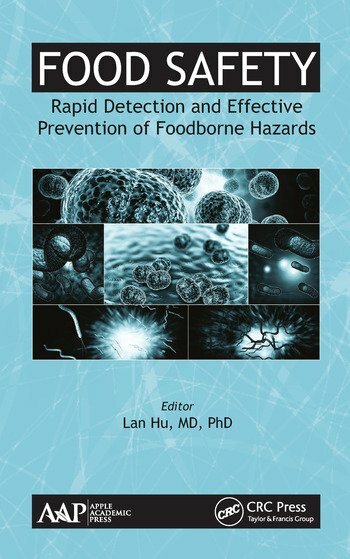 Dr. Hu has written a number of articles and book chapters and also acts as a reviewer for several scientific journals, including Infection and Immunity and Food Protection.